Internet connection speed is measured by two common units: mbps and MB/s. Mbps (or know as megabit per second) is what you mostly see on advertisement from an ISP, but MB/s (megabyte per second) is what you usually see on programs (such as download managers). So what are the differences between those two units? One byte is equal to eight bits (1 byte = 8 bits). That means if your internet connection is 10mbps, then your actual speed is about 1.25 MB/s. 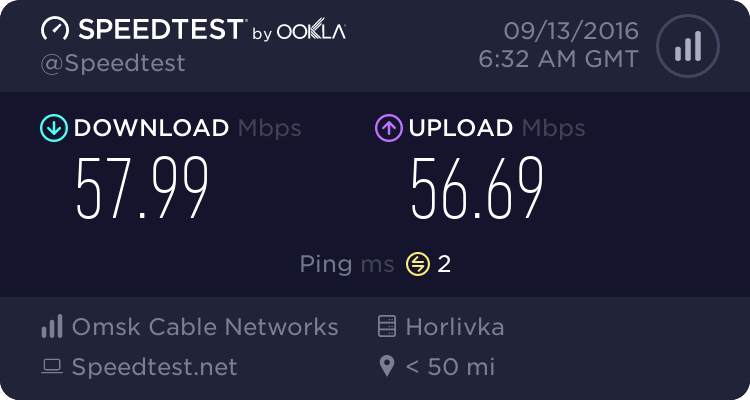 The higher (or faster) connection speed, the better. An internet connection has down stream and up stream, or also known as download stream and upload stream. Download stream speed (or download speed) is how fast you get data from a server, and upload stream speed (or upload speed) is how fast you send data to a server. Both download speed and upload speed use mbps (or MB/s). Asymmetric Digital Subscriber Line or ADSL usually has unsymmetrical speed, download speed is much higher than upload speed. 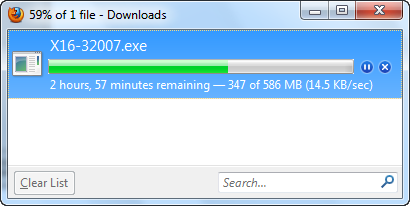 For example, few years ago, I used a ADSL line: 10 mbps downstream and 1 mbps upstream. But recently, almost all ISP offer optical line connections, and optical connections offer symmetrical speed. Latency or also known as ping is the duration from when you send a data package to a server, and server sends a response back to you. The lower latency the better. If your needs are browsing web, watching videos, you won’t have to care about latency, but if you’re playing game, then latency is the most important factor. Latency depends on the nature of your connection (optical connection usually has lower latency than ADSL), and the destination server. Normally, speed to a server in the same country as you will be much faster (and lower latency) than to a foreign country. The most popular internet connection tester right now. SpeedTest is easy to use, full of options. You can select a list of different servers from different locations all over the world. SpeedTest also test your upload speed and download speed. SpeedTest also has apps on Apple App Store and Google Play. SpeedTest also displays your latency to a server. You can also see the average internet connection in your country. Even if you don’t have a web browser (normally on headless server), you can test with speedtest-cli, a small program written on Python that use SpeedTest API. The only problem with SpeedTest is SpeedTest still using Flash, although there is a HTML5 version, but it’s still in beta. SpeedTest.net is the best internet speed tester right now, it fits all requirement. If you’re using NetFlix, then you’ll probably like Fast.com. Fast.com is a website to test your internet connection, and it’s powered by NetFlix. While SpeedTest displays all kind of information, Fast.com just focuses into download speed. Fast.com measures your download speed by downloading a series of file from different Netflix servers around the world, so that you’ll have an overall look of your internet connection with multiple servers in multiple locations on the globe. Fast.com is also available on Google Play and Apple App Store. 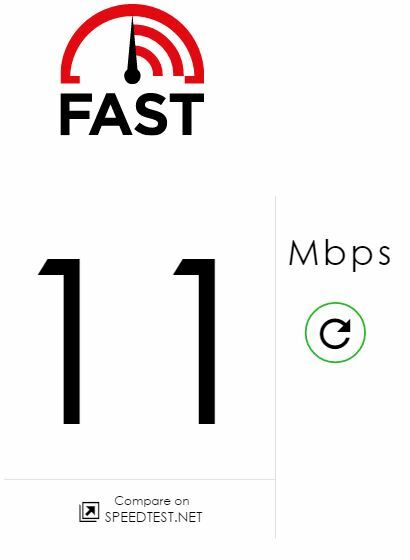 Use Fast.com if you just care about download speed or simplicity.